A few weeks earlier, Honor has presented its new flagship smartphone – the Honor 9 . The device comes with dual camera, HiSilicon Kirin 960 chipset and high-quality glass body and will be available without contract in many countries or areas. It is offered in the colors blue, grey and gold, a black version is to come later. 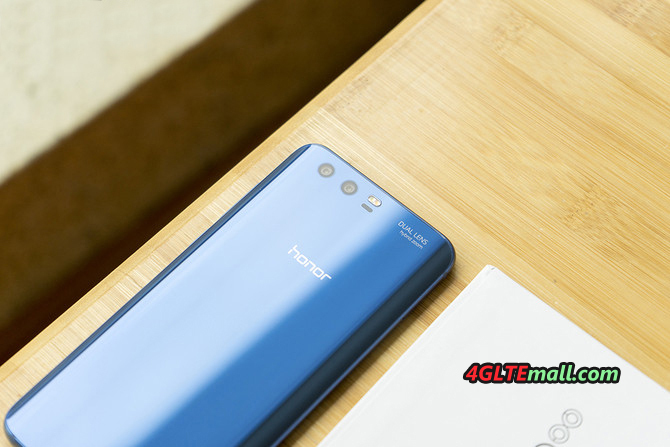 The Honor 9 has an internal user memory of 64 gigabytes, an expansion via MicroSD memory card is possible. The working memory is 4 GB, as operating system Android 7 is used. The chipset uses the HiSilicon Kirin 960, which is also used in latest new flagship smartphone such as the Huawei P10 and the Huawei Mate 9. The processor integrated in the chipset has 2 x 4 cores, which work with 2.4 GHz and 1.8 GHz respectively. The Honor 9 would certainly work in a very good performance. Like the previous models, the Honor 9 Dual SIM is capable, so you can use two nano-SIM cards at the same time. 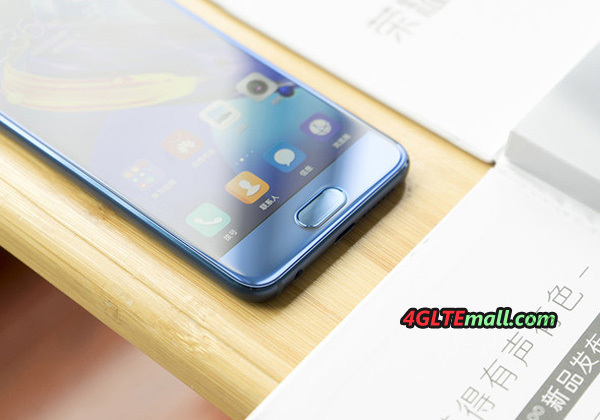 In addition to GSM and UMTS, LTE is also supported, and Honor 9 has not yet published any information on the maximum possible speed. Besides the frequency range around 2.4 GHz, Huawei Honor 9 also supports the 5 GHz range. 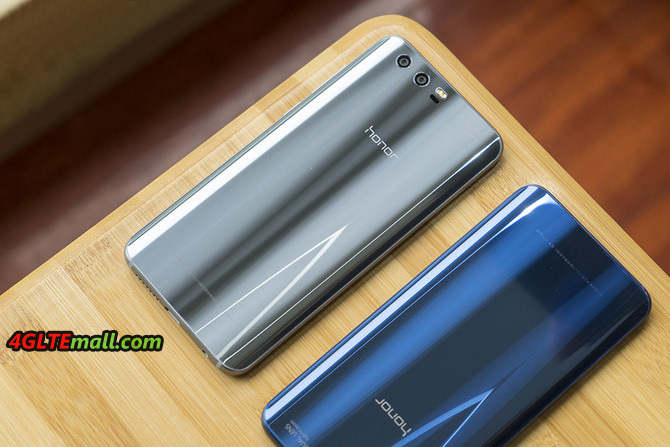 The LCD display of the Honor 9 is 5.15 inches large and resolves with 1920 x 1080 pixels, so the device is comparatively compact for today’s conditions. The glass, which protects the display, is rounded to the sides (2.5D glass), so the Honor 9 is more comfortable in the hand. Compared to the predecessor, the fingerprint sensor has now been placed on the front side, more precisely under the display. Many users should see this as an advantage, because you can use the sensor even when the device is on the table. The battery is 3,200 mAh strong, and is charged via USB type C.
The Honor 9 has two camera sensors on the back, the one sensor with 20 megapixels and can only take only monochrome images; the second sensor captures images with 12 megapixels and shoots in color. The aperture is at f2.2, so the Honor 9 is not quite as bright as a Samsung Galaxy S8 (f1.7). Videos takes on request in 4K resolution, synonymous, this is an improvement to the previous model Honor 8, which could shoot a maximum of 1080p Full HD. 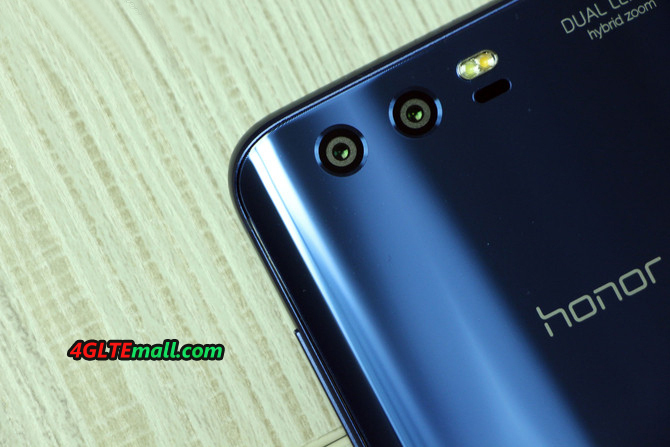 The huawei Honor 9 is now available at www.4gltemall.com, you can also check Huawei other new smarpthones on this website.